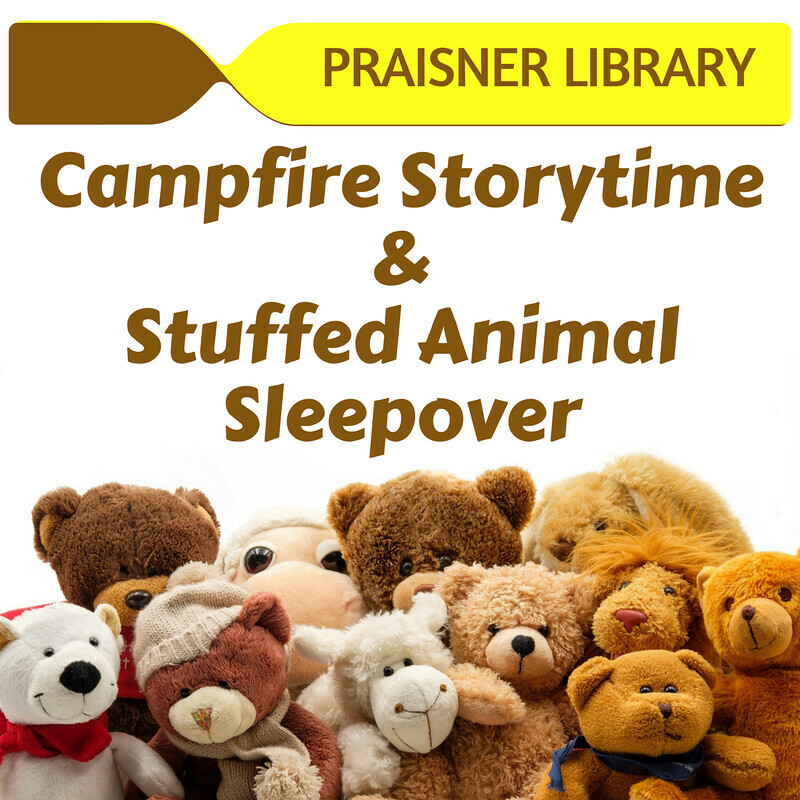 Come sit by our (pretend) campfire and listen to stories with your stuffed animal friend, then leave your friend at the library for a sleepover! Stuffed animals registration will begin at 5:30 p.m. Campfire story time will begin promptly at 5:45. This is a special sleepover for stuffed animals--not children. The stuffed animals will spend the night in the library (under librarian supervision, of course!) and can be picked up between 10:30 - 11:00 on Saturday morning. Children will receive photos of the overnight adventures of their stuffed animal friends.